Maryland’s 3 Amish communities are scattered to its far corners–one in the eastern upper corner of the state, another in the Appalachians of the far west, and the largest in St. Mary’s County in the southern Chesapeake Bay area. As of 2011, 10 church districts are found in Maryland (see Young Center). A community of Amish have lived in the highly-populated area south of Washington, DC since 1940. The St. Mary’s County settlement was founded by Amish from Lancaster County, Pennsylvania, in response to pressures over schooling. Schools in Lancaster were being consolidated at the time, and a group of Amish from the community decided to found a new settlement a couple hours south in Maryland. There they hoped to escape conflict over their children’s education. Today the St. Mary’s County community numbers 8 church districts. 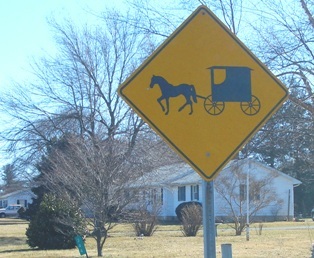 Amish here maintain ties with Lancaster County, and drive the distinctive grey-topped buggies. Related communities can be found in neighboring Virginia in Charlotte County as well as at Athens, Wisconsin and Johnsonville, Illinois, among other places. Like their counterparts in Lancaster, Amish here maintain dairy farms, raise produce, and operate numerous small businesses. And like a few other eastern seaboard settlements such as Lancaster County and Dover, Delaware, Amish in St. Mary’s County have experienced pressures due to the growing population in the region. St. Mary’s County is also home to a community of Old Order Mennonites (Old Order Mennonites bear similarities to Amish, including use of the horse-and-buggy). 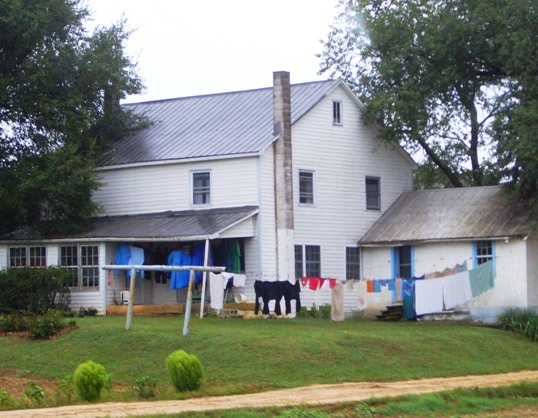 While the Amish live mainly in the northern part of the county, Old Order Mennonites can be found further south near Loveville. Read more on the Amish in St. Mary’s County. 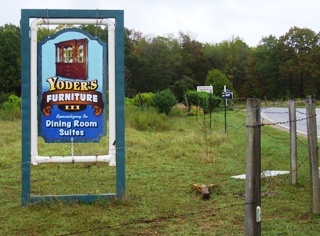 The oldest Amish community in Maryland also belongs to one of the more unusual groups in all of Amish society. Amish at Oakland in Garrett County (the state’s westernmost county) are considered part of the “electric” New Order Amish affiliation. Electric New Order Amish are perhaps the most progressive when it comes to technology allowed. Crossing a line which most Amish avoid, Amish at Oakland permit the use of public electricity in the home. They stand in contrast to the “nonelectric” New Order churches, which do not. The Oakland community is quite old. Founded in 1850, the community later came to be associated with the electric New Order movement, which itself came about in the mid-20th century. Scholar G.C. Waldrep notes, however, that while “The older Amish settlements at Hutchinson, Kansas and Oakland, Maryland have electricity and are generally classed with the electric New Orders, but their ministers do not, at last report, participate in the annual minister’s meeting” (Waldrep, p. 399). For a community of 160 years in age, Oakland is small, with only one church district. However, as of 2007 the district was twice the size of most, with around 70 households (see Waldrep, p. 424). The Cecilton community is Maryland’s youngest, founded in 1999. The community lies in Cecil County on Maryland’s Delmarva peninsula, about an equal distance from the cities of Dover and Wilmington in Delaware. The Amish at Cecilton are also just a short distance from the southernmost homes in the Lancaster County settlement (approximately 30 miles away). The settlement itself is very small with just a handful of households. Maryland has seen only a few attempts to settle by Amish. Besides the current communities, however, one other very long-lasting settlement existed just outside present-day Baltimore. The community at Long Green just northeast of Baltimore city was founded in 1833, and lasted for 120 years before disappearing in the 1950s. 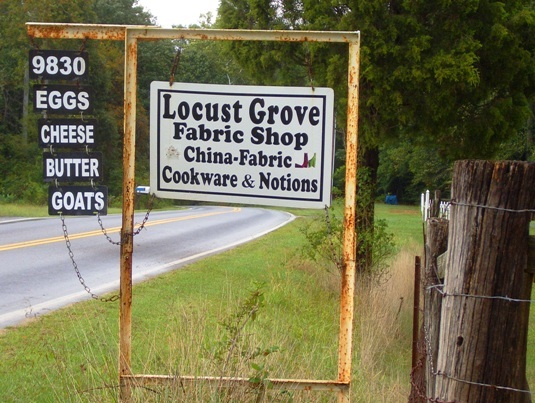 Lying 15 miles outside Baltimore, this community was founded by Lancaster County Amish during the slave era. Historian David Luthy cites this as a reason few Amish ever settled Long Green. “Most Amishmen in that era viewed the Mason-Dixon line as uncrossable,” notes Luthy. “One descendant of the settlers stated: “Long Green was a rich farming valley and land was cheap. More Lancaster County folks would have come had there been no slavery” (Luthy, Settlements that Failed, p. 169). This community never grew large, and eventually made some progressive adaptions, such as building a meetinghouse in 1899. The community dwindled over time, with the last member dying in 1953 (Luthy, Setlements That Failed, p. 172-173). Despite its close proximity to Pennsylvania, Maryland has not attracted much settlement by Amish. Only a handful of communities have ever been founded in the Old Line State. Today the highly-populated Baltimore-DC corridor prevents much Amish settlement. Amish who do live near this area experience land and population pressures similar to those of Amish in densely-settled Lancaster County. Maryland is unlikely to see the degree of future Amish settlement as other states (e.g., New York) which offer more attractive conditions for settlement such as cheaper farmland. Still, with its electric New Order community and Lancaster daughter settlements, the state exhibits a measure of the diversity found in Amish society. I visited an “Amish Market” in Burtonsville, MD which has since moved to Laurel, MD. I didn’t think to ask what district they were from. Does anyone know? Also, Sydney, I believe the Amish who are vendors at the markets in Laurel and formerly at Burtonsville are from Lancaster County. I know that the vendors at the Annapolis market come down from Lancaster County. Have had some nice conversations with the delightful teens who work there. I know both of those shops and who runs them! Do these communities welcome visitors? You stated that you knew who ran 2communities? I’m visiting Maryland for the first time next month. Which Amish community is closer to Maryland? Do they allow visitors? I’m trying to get the most out of my visit. Thank you for any information. I grew up outside of Washington, DC and not far from the Southern Maryland/St. Mary’s County Amish settlements. It was always a treat, fascinating to drive the side roads around Charlotte Hall area as a child. Also, we’d pass through the Loveville area and always thought that those settled there were Amish … now I know the difference! We are driving to Maryland this weekend and am looking forward to our pass through St. Mary’s County, hoping to stop at the market in Charlotte Hall. The “Dutch Market” in Laurel, MD is a nice little market. Their meats, cheeses, desserts, and fruits/veggies are always top notch! I was there a few times at the end of the weekend and saw them loading things into trailers and vans with PA plates on them, so I would assume they are Lancaster Amish. I miss being able to go to that market and the Bird-in-Hand market in PA.
Eric–have you ever visited the Amish settlements in Oklahoma? I would love to find out more about what they might have to offer in way of markets/bulk dry goods. Melissa my orbits haven’t yet taken me to Oklahoma, but since it has my favorite name of all states, I need to someday! Im interested in shaker style cabinets for my kitchen. Was in a cabinet store and saw shaker style cabinets called” wave hill” . Do you make this cabinet and if so where can I purchase them. I already have measurements. I have a distribution company that has a waste product of wooden crates. We send them to the landfill but I want to find an Amish group that could recycle them into their finished products. Looking for an Amish Market to rent space in Essex MD. Approx 10-30 K square feet for really cheap. How would I go about contacting someone to see if there would be an interest to open an Amish Market in that area? Any help is appreciated. how i can meet someone from Amish Mennonite church. may be a church leader. Thanks gilfish for adding this to our info. I may have driven past a home or two of which you speak. I believe we’d still consider these families part of the Lancaster County settlement even though they spill over into Maryland. You see this in some settlements, such as the Elkhart-Lagrange, Indiana community with families in Michigan, and the Adams County, Indiana settlement with households in Ohio. Nice to know though. 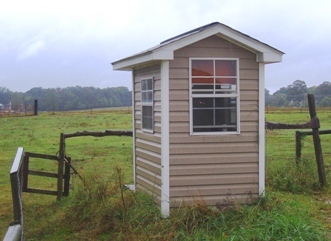 I’m looking for someone (Amish of course) to possibly build a small 1200 to 1400 square foot home in Maryland. Location is about 10 miles west of Dover, Delaware. Lots of Amish were noticed in Delaware but not in Maryland, eastern shore. I’m looking to use some windows and such, that is in my current home. There is also an Amish community in Grantsville Maryland also Garrett County but very distinct from Oakland. Linked to the Somerset PA Amish and for sure non electric. There is a long history.